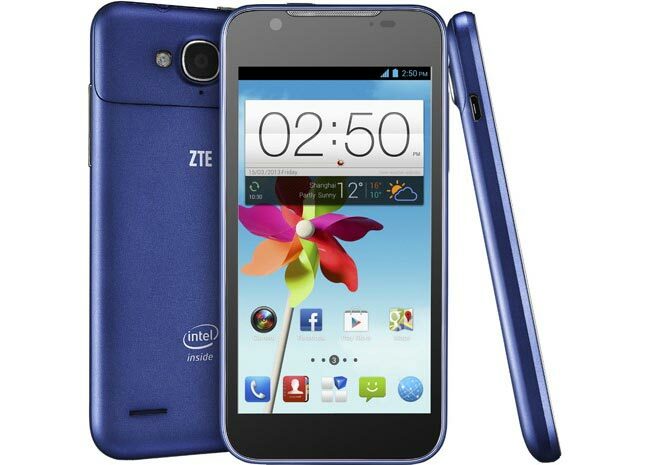 ZTE has added another Android smartphone to their range with the launch of the ZTE Grand X2, which comes with An Intel Atom Z5280 processor and features a 4.5 inch HD display. The 4.5 inch display on the ZTE Grand X2 comes with a resolution of 1280 x 720 pixels, the Intel Atom Z5280 processor is dual core with a clock speed of 2GHz, the handset also comes with 2GB of RAM. Other specifications on the ZTE Grand X2 include front and rear facing cameras, up front we have a 1 megapixel camera for video chat, on the back we have an 8 megapixel camera, it also comes with 8GB of built in storage and a microSD card slot. The ZTE Grand Z2 comes with Android Jelly Bean and features a 2,000 mAh Battery, it will launch in Europe in quarter three, there are no details on pricing as yet.